A stroller is one of those essential baby items that every parent needs but like anything else, they are not all made equal. The type of stroller you need to buy will depend on how often you intend to use it, the size stroller you need and how you usually travel. For instance if most of the places you will be going to are a car drive or bus journey away then you will need a baby stroller that is easily transportable. Most folding strollers are easy to use and this is important because in many cases you will have to do it using only one hand as you hold your baby in your other arm. There are lots of different strollers for babies available, single strollers, double or twin strollers and strollers for three or more children. There are different wheeled strollers as well. Depending on the age of your child or children you may need a combination stroller, one that is suitable for an infant and/or toddler. Below you can find a wide range of strollers available for sale in a multitude of colors, styles and designs, suitable for many different uses from casual everyday use to sport jogging strollers and more. If you are looking for a stylish city stroller that is lightweight and portable then the Stokke strollers are ideal. Suitable for pavements and featuring a height adjustable seat you can keep baby close at eye level so your baby will not only be comfortable but has a great view of mom or dad which can be reassuring for your baby. 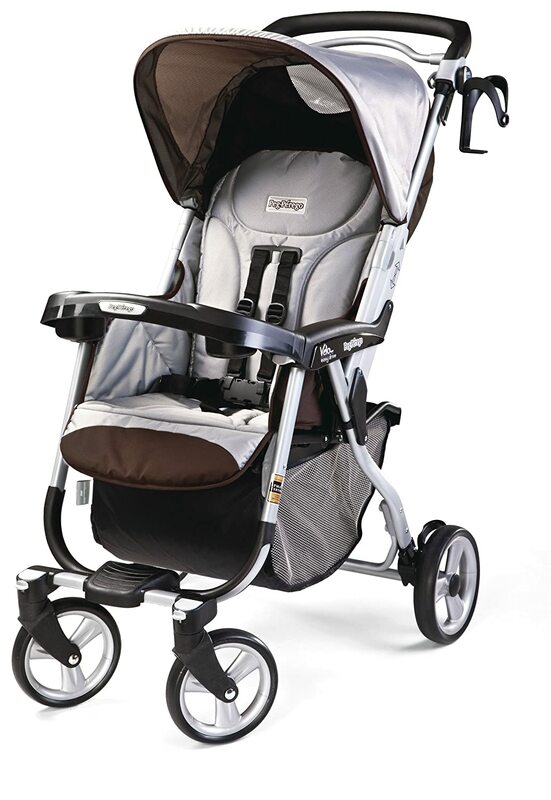 The stroller above right features the adjustable seat which also reclines and comes with a cargo basket. 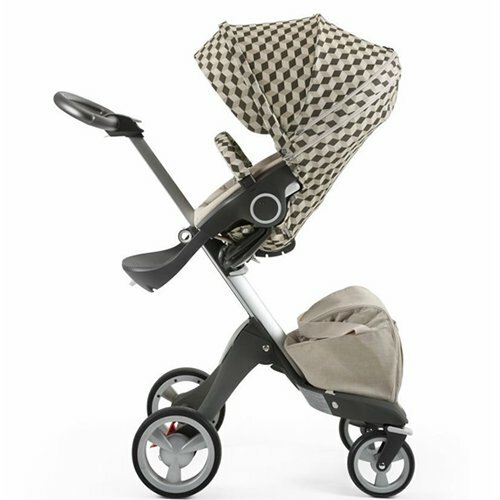 Stokke stroller brand is the top of the line in quality strollers. They are pricey but if you want the best of the best then this stroller is probably for you. Bob baby strollers, otherwise known as fitness strollers, are ideal for use on pavements, walkways and other hard surfaces. They feature swivel front wheels which make moving the stroller over this type of ground easier as well as helping when turning the stroller around corners. The wheels can also be locked which is great for rougher surfaces or for when jogging. 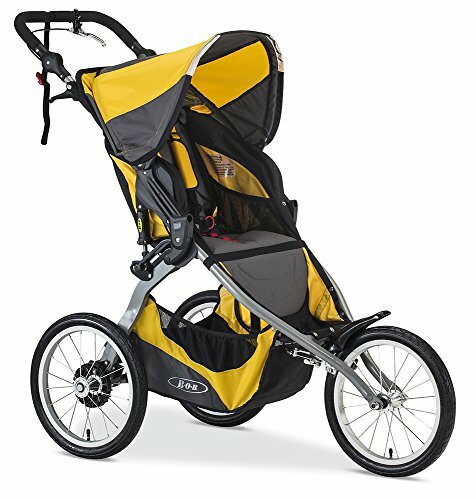 One of the best things about these fitness strollers is the suspension system which can be easily adjusted. This allows for a less bumpy journey for baby and an easier walk or jog for you. Another great feature is the padded handlebar, if you have ever pushed a stroller for any amount of time you will know they can be wearing on your hands, especially the plastic handles, so the padding makes life easier and steering much less taxing on your hands. Contours strollers are a popular choice for parents because of the wide range of choices available from lite or single or tandems. 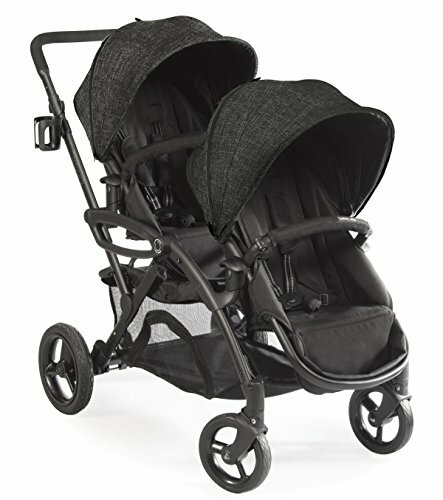 The lite contour strollers are perfect for anyone who wants a robust but compact and light stroller that's easy to use. 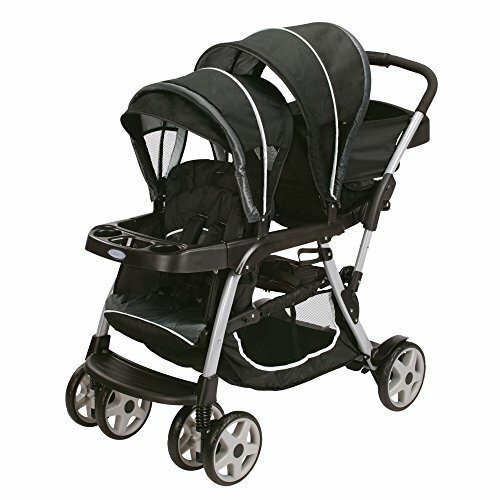 These strollers also offer a lot of storage space as well as a child tray and parents cup holder. Cushioned handlebars are great for your comfort. The Optima tandem stroller is ideal for two children of a similar age or twins and still offers under seat storage. Another great feature is the choice of backward or forward seat positions. Peg Perego strollers are another popular choice with parents and are not only incredibly stylish but include lots of great features like reversible seats, recline positions and wheel suspension for a smoother ride. They are available in a range of great colors from unisex to boy and girl specific colors. Many of the strollers in the range, such as the switch four stroller also feature a chassis that can accommodate a Peg Perego car seat for the perfect travel system. Other features that may be model dependent include telescopic handles, one hand folding, hoods and sun canopy and more. Graco is one of the most trusted brand of baby essentials and their range of strollers and travel systems are loved by parents. The Graco connect range features lightweight strollers and stroller frames that can easily be connected with a Graco car seat making travel as simple as clicking the car seat in or out of the car and onto the frame. The strollers in the range have some great features including comfortable, adjustable reclining seats for baby, padded handles for mom and dad, child trays, cup holders, padded seats. The Ready2Grow model is ideal for families with children of various ages and offers 12 different options for seating for your children so your stroller can adapt as they grow or as your family extends. Baby strollers with combo car seats are the ultimate convenience in baby essentials and make traveling by car a breeze. Instead of having to take your baby in and out of their car seat several times you can leave them in their comfortable seat and simply lift the seat and connect it to the stroller without disturbing your baby. When you get home after a long trip and your baby is asleep you can take them inside without waking them. 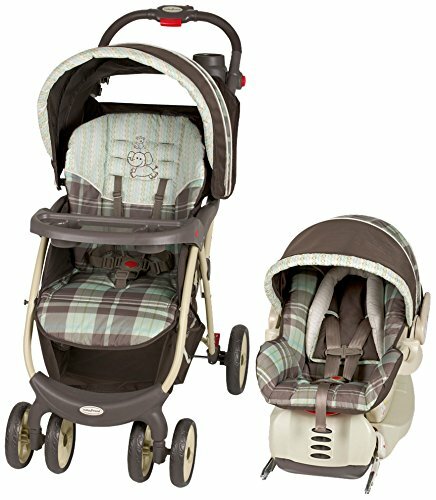 Combo strollers are a great choice for busy parents and are available in a wide range of styles from many trusted brands.